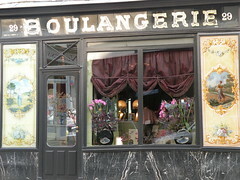 Cette boulangerie dans le quartier du Marais a été remplacée par un hôtel mais sa jolie façade a été préservée. Credit: Frédérique Panassac, Flickr, 2009. Resources listed on this page are Library subscriptions. To access these, you may have to sign on with your authid and password. For tips on off-campus access to these resources, click here. Current; Eureka is a database of news and current events that contains more than 115-million articles from over 2,500 daily newspapers, journals, magazines, news wires, tv transcripts and others covering more than 20 years. Sources from every state in the USA, from every province in Canada and from all over the world bring you the latest news in English, French, Spanish and other languages.